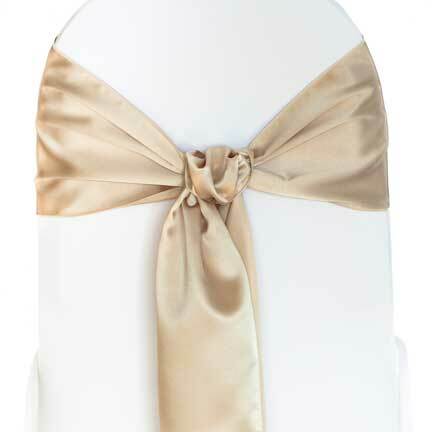 This sash is shown over a White Poly chair cover. We have the matching Cashmere Napkin, Runner, Bag Style Chair Cover, Chair Pad and Tablecloth. Watch "A Day in the Life" of Linen Effects!